The Server 92000 single dip server is constructed of stainless steel for durability and corrosion resistance. 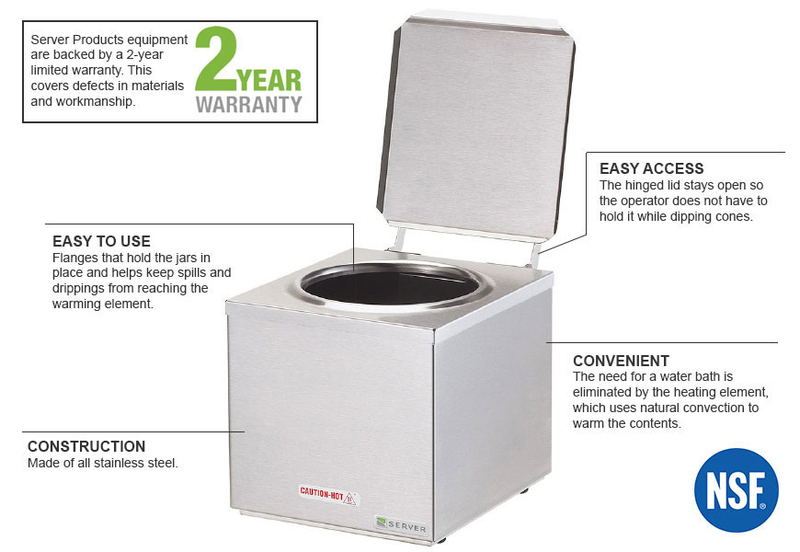 With a removable top and bottom, the cone dip warmer is simple to clean. 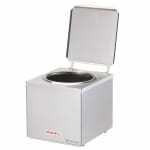 The hinged lid is designed to stay open while users are dipping cones, which causes less frustration during peak demand times. A flange around the edge keeps the container in place, preventing slipping and dripping into the warmer. The warmer can be used with a No. 10 can or a 3-quart jar that is sold separately. The server operates from ambient temperatures to as high as 150 degrees Fahrenheit, with the temperature controlled by an adjustable thermostat. 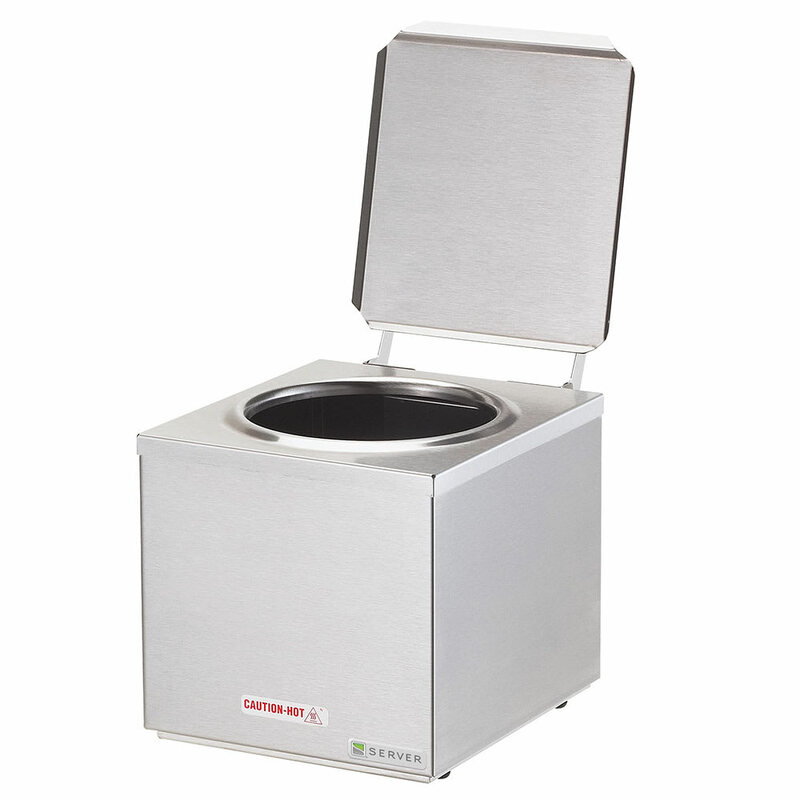 The Server Products 92000 cone dip warmer uses natural convection through the air to heat the warmer instead of a water bath. "Great for warming dipping chocolate. The outside of the container is not insulated so it does get very hot." "to heat cone and waffle dips"